This is far from one of the most interesting beefs of the NBA season, but you might remember that last month, former Celtics champion Rajon Rondo had a pretty sick burn on former Celtics non-champion Isaiah Thomas. Tonight, meeting for the first time after that dig, Rondo and Thomas played just a combined 13 minutes, as the two temperamental point guards caught simultaneous ejections before the first quarter was finished. 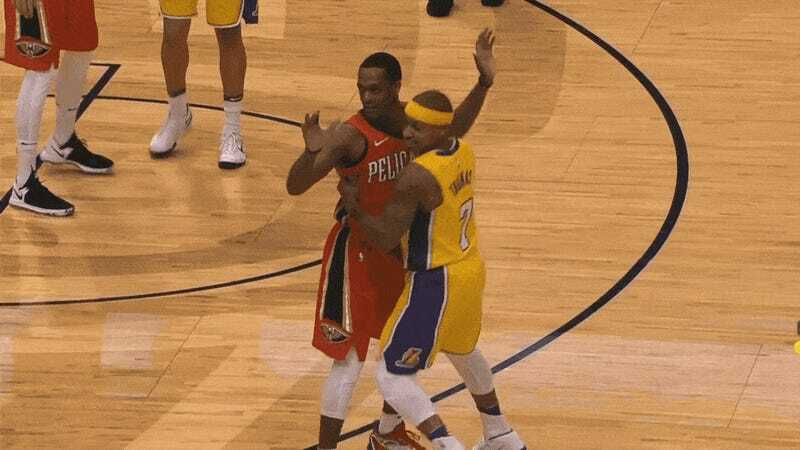 First, there was a flagrant call on Rondo for a little elbow to Thomas’s chin. Then immediately after, the two engaged in some tough-guy dancing on an inbounds play. Frankly, it looked a little choreographed, but that didn’t stop the refs from calling double techs and kicking both Thomas and Rondo out of the game. It feels safe to say that neither of these guys is especially happy with where they’re at right now.